Chris Pratt stole his Peter Quill/Star-Lord costumes, including the jacket, from the set of “Guardians of the Galaxy” so that he could wear them to visit sick children at the hospital if the film was a hit. 2. Viggo Mortensen purchased the horse he rode in "Lord of The Rings." The horse had a hard time adjusting to the lights and sounds on set and it took a while for them to get in sync. "We got through it together and became friends. I wanted to stay in touch with him," said Viggo. 3. Chris Evans turned down the Captain America role multiple times because of anxiety, fear of a 10-movie commitment and the public spotlight. He went to therapy before taking the role. 4. Sir Ian McKellen broke down on the set of the Hobbit, announcing “This is not why I became an actor.”, due to filming the entire movie alone with the dwarves edited in afterward. 5. Anthony Hopkins, when asked what he loves best about making movies, answered: "I love the hour in makeup. It gives you time to think and have a cup of coffee. It's my favorite part of the day. Having somebody dab things on your face, I love that. Then you go out and say things and they pay you." Leonard Nimoy met many fans who became scientists because of Spock's example and talked to the 'Star Trek' actor as if he were a fellow researcher. Nimoy always nodded and told them, "Well, it certainly looks like you’re headed in the right direction." 7. Jim Carrey offered Nicolas Cage to co-star with him in 'Dumb and Dumber' (1994), however, Cage wanted to do a much smaller movie instead called Leaving Las Vegas. 'Leaving Las Vegas' (1995) ended up earning Nicolas Cage an Academy Award for Best Actor in 1996. 8. Robin Williams wanted to play Hagrid in the Harry Potter films but was turned down because J.K. Rowling and director Chris Columbus only wanted British and Irish actors. 9. Michael Caine started acting because the drama classes were full of pretty girls and he wanted to get laid. 10. Brad Pitt tried to buy himself out of the movie ‘Interview with the Vampire’. Upon hearing about the $40 million exit clause, he shot the movie. It went on to receive 2 Oscar nominations and launched Kirsten Dunst’s career. Several months before Russell Crowe won the Oscar for Gladiator, the FBI warned him that the al-Qaeda were planning to kidnap him as part of a “cultural destabilization plot”. For nearly two years, the FBI guarded Crowe in public and refused to give him any details about the threat. 12. Irish American actor Robert De Niro was raised by an openly gay Catholic father and an atheist mother in New York just two generations after his family fled Ireland to escape the famine. 13. Will Ferrell turned down $29 million to do a sequel to Elf. 'It wasn't difficult at all,' he said. 'I remember asking myself: could I withstand the criticism when it's bad and they say, "He did the sequel for the money"? 14. Christian Bale went to his lunch meeting with 'American Psycho' writer Bret Easton Ellis as Patrick Bateman. Ellis became so uncomfortable with it that he had to ask Bale to stop the act. 15. Tom Cruise once witnessed an unknown pedestrian get hit by a car that fled the scene. He summoned an ambulance, followed it, and when he discovered that the patient was uninsured, he paid the victim's $7,000 emergency room bill. In 2011, James Franco launched a college course entitled "Master Class: Editing James Franco...with James Franco," in which student editors are to compile a 30 minute documentary on Franco, using behind the scenes footage of Franco supplied by Franco, to "create a cinematic image of James Franco." 17. Clint Eastwood insisted on removing some of the dialogue in the original script for his character 'The Man with no Name' in the Dollars trilogy so that it could make the character more mysterious. As the trilogy progressed the character became even more stoic and silent. 18. Leonard Nimoy appeared in public as Spock only once. After needing police rescue from thousands seeking autographs, he did not repeat the experience. 19. Jim Carrey was offered to be the eighth doctor of Doctor Who, but he declined the role. He felt he would cause outrage amongst Doctor Who fans if the role wasn't played by a fan. 20. Tom Hanks is an avid supporter of NASA’s manned space programs and originally wanted to be an astronaut, but “didn’t have the math”. He was awarded the Douglas S. Morrow Public Outreach Award in 2006 for his contributions to raising public awareness of space programs. 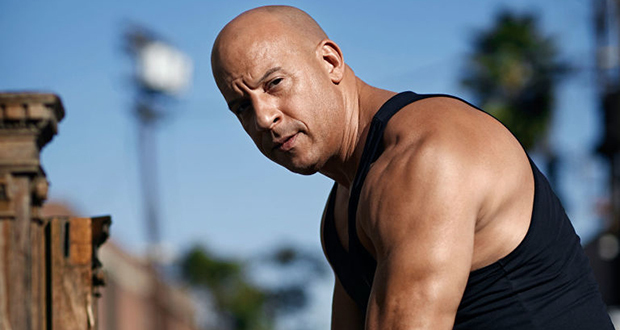 Vin Diesel broke into a theater in New York with his brother when he was 7 with the intent of vandalizing it. When they were caught, instead of calling the police, the theater's artistic director offered them roles in an upcoming show, thus starting Diesel's acting career. 22. Ben Affleck met a disabled 13-year-old named Joe Kindregan in an airport and has flown him to every movie set ever since, even speaking at his high school graduation. 23. For over 15 years Paul Rudd has been showing the same clip of Mac and Me on the Conan O'Brien instead of clips from the movies he's starring in and promoting. 24. Christopher Walken likes to edit the punctuation of every script he gets, so he can say things the way he wants to. 25. Nicolas Cage has already bought his grave. It's a 9-foot pyramid in New Orleans.